Lincoln will for the first time advertise at the Super Bowl 2013. Lincoln is relaunching its branding with The Lincoln Motor Company name. This is the original name from the 1920s. “The new Lincoln brand will be defined by great new luxury vehicles, such as the new MKZ, that feature quality, unique style with substance and innovative technology. These elements, coupled with a new level of warm, personal and surprising experiences, will enable Lincoln to appeal to today’s new luxury customer.” said Ford Motor Company CEO Alan Mulally. 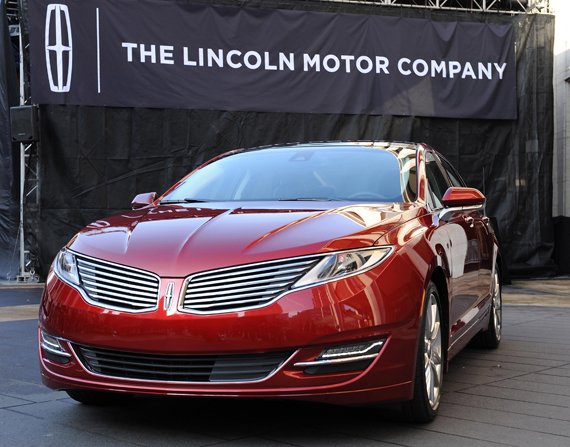 Lincoln will advertise during the broadcast of the upcoming Super Bowl 2013. Lincoln has signed comedian Jimmy Fallon to lead the first-ever Super Bowl commercial written entirely by social media, with consumers participating through Twitter. Consumers will provide their best 140 character thoughts to a script, and Fallon will then lead the curation of the best contributions that will create the ad to run during the broadcast of the big game. Can the crowd come up with a great Super Bowl commercial? I get the crowd sourced Super Bowl ads like Doritos is doing since years. This works great. But having everybody work on a single ad seems difficult. The Lincoln Super Bowl 2013 Ad will definitely be an ad to look out for on Super Bowl Sunday. Oreo Super Bowl 2013 Ad has Kate Upton too?